The Compagnia Pisana Trasporti (CPT - yellow buses) connects Pisa Airport to the city centre. The cost of a single ticket is EUR 0.90 ticket. You can buy tickets from the Information Office in the arrivals hall or at the automatic ticket machine at the bus terminus. The bus terminus is located just outside the Departures area. 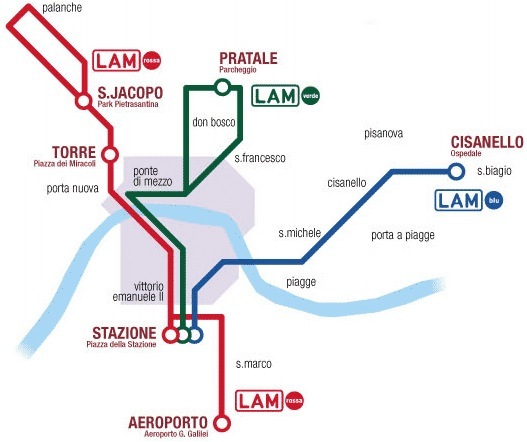 Take LAM red line, direction TORRE SAN JACOPO and get off at STAZIONE (Pisa Centrale railway station). Pisa Airport "Galileo Galilei" has direct train services to Pisa Centrale railway station. At the Airport, buy your railway ticket at the Information Office in the arrivals hall. The railway terminal is located just outside the departures hall. The cost of a single train ticket from Pisa Airport to Pisa Central Station is EUR 1.10 (Travel time - 5 minutes). From Pisa Centrale railway station to CNR it is only 15 minutes by bus. The cost of a single ticket is EUR 0.90. You can buy tickets in the arrivals/departures hall. The bus terminus is located just outside the railway station. 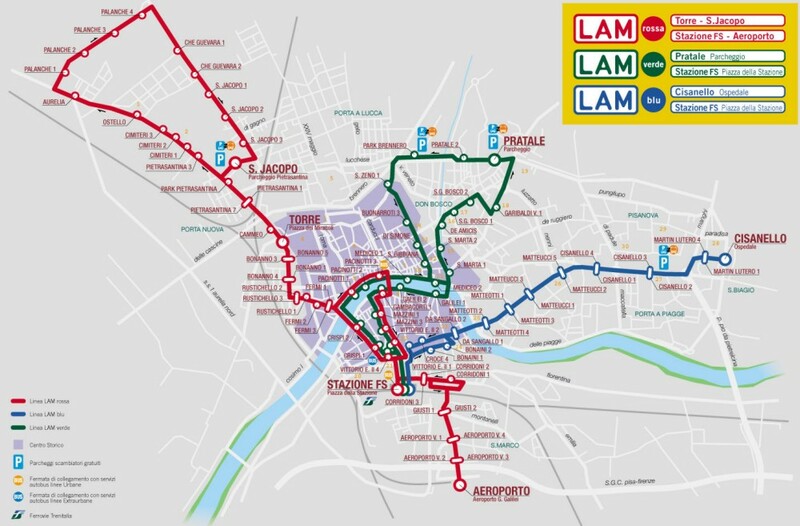 Take LAM Green Line direction PRATALE and get off at VIA VOLPI - CNR or at the next stop PRATALE Parcheggio (shown on map below). The average fare for a ride in the city of Pisa ranges from EUR 9.00 to EUR 12.00 (Plus 2,07 excess fare on Sundays). The Taxi Stand is in front of the air terminal exit, arrivals side (Radio Taxi, tel. 050 541600).